The Bad Feminist author is shutting down discrimination against writers such as Sarah Hollowell based on how much they weigh. 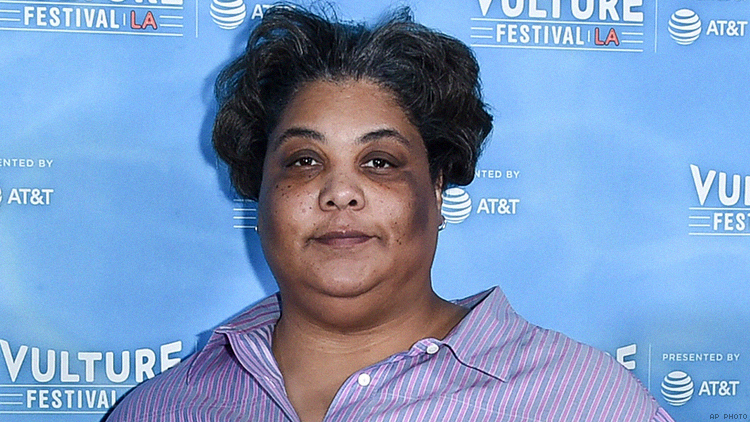 Roxane Gay is calling out one of America's most prestiguous writers' workshops for discriminating against another writer, Sarah Hollowell, and denying her a public role based on her body. The acclaimed feminist essayist and TED speaker, who has been on the faculty of the Midwest Writers Workshop, claimed on Twitter that workshop organizers made fatphobic comments when voting on whether or not Hollowell, who has worked for MWW for five years, should be appointed to the organizational committee. I am going to call out the Midwest Writers workshop for fatphobia. But then someone said “do we really want someone like her representing us?" That person elaborated “someone so fat. It’s disgusting.” Only two people in that room spoke up for Sarah. Hollowell, who identifies as a "fat writer girl" on her website and is known for her TEDxTalk "Fat Revolution," was not voted in. They committee decided to NOT bring Sarah on board. Because of her body. But because she is “so talented” they are willing to hire her for less public things. I guess I too am too fat and disgusting for your workshop. Which is fine. But Sarah was a tireless worker on your behalf. She is intelligent, passionate, and brave. You would be LUCKY to have her. You owe Sarah a public and genuine apology. And then those of you who objected to her fatness or were silent in the face of this fat phobia need to really take yourselves to task. It’s horrifying what you’ve done. Also, Midwest Writers Workshop, never use my name as a past faculty member in your promotional materials, ever again. I’m too fat and disgusting to be associated with you. Last fall, during a meeting with my executive planning committee, we discussed inviting new members to the committee. During that conversation, a committee member made an insensitive comment about Sarah. One I knew was flawed, but did not believe was an accurate representation of her true feelings about Sarah or this committee member’s longstanding commitment to inclusivity and diversity at our workshop. In that moment, I accepted the apology she made. I also chose to move the group by casting an informal vote inviting Sarah to join our committee. The unanimous answer from everyone, including this chagrined committee member, was yes. Bigger goes on to explain that she did not formalize that unanimous vote which led to Hollowell losing her place on the committee. The member who made the fatphobic comment has been fired and the group is proposing "new scholarships for diverse voices" and hiring a consultant to "establish guidelines for welcoming and voting on committee members." Bigger finishes by asserting that the workshop's mission is to welcome everyone "regardless of their weight or appearance, gender or sexual preference, age, race, or whether they show up in the same model of wheelchair in which I sit." Gay has responded to the apology on Twitter but not stated if she will allow the workship to use her name or likeness in promotional materials.